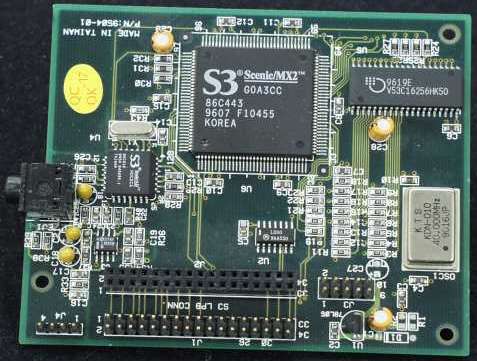 The S3 Virge chip on the Cybervision 64/3D was designed with a local expansion bus for adding additional features to the graphics card. And indeed the Cybervision 64/3D has the same expansion connector found on most PC Virge based graphics cards. Phase 5 at least experimented with producing an MPEG expansion module for the Cybervision 64/3D capable of playing FMV, unfortunately no product was ever released to the public. It's not entirely clear if Phase 5 actually produced the hardware themselves, or whether they were simply attempting to write drivers for the few Virge expansion modules which existed, primarily intended for PC graphics cards. 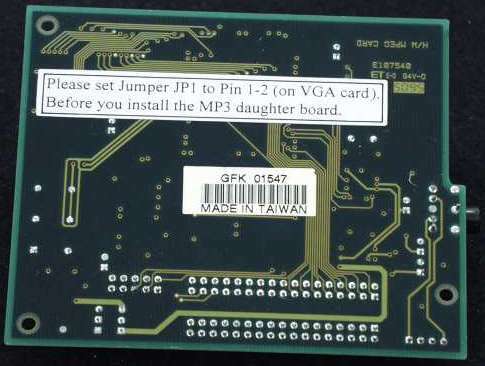 However as the CV64/3D uses the same expansion connector as the PC graphics card, these expansion modules should be entirely compatible.